How long can I stay in Sudan with this visa? 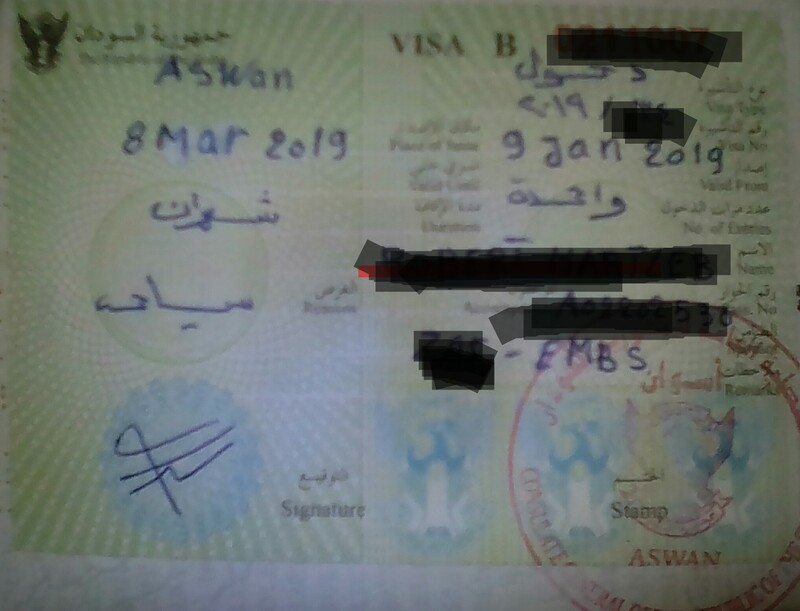 The man at the Sudanese consulate in Aswan said I have 2 months to enter Sudan (i.e. until 8 March 2019). But he could not tell me how long I can remain in Sudan. How long can I stay in Sudan after entering? What does the 3rd handwritten term from the top on the left side below 8 Mar 2018 and to the left of printed word Duration mean? I was told this translates to "2 months ”. But 2 months what - to enter or to stay? The man at the Sudanese consulate in Aswan mumbled something about immigration determining the length of stay. Can somebody confirm this? It's not clear to me if means you get two months from entry, or if it's just repeating the valid-for-entry period. To play it safe, I would assume the latter, meaning you need to plan on leaving by March, or you should be able to extend your visa in Khartoum if need be. And regarding border officials having discretion to choose how long you can stay, I'm afraid that's pretty much universal. Not the answer you're looking for? Browse other questions tagged visas sudan or ask your own question. Is re-entry on a tourist visa after being in USA for ESTA for almost 3 months a problem? For which countries does tourist visa apply after the end of a long-stay visa in Schengen countries? How long can US citizens stay in Panama? How can I get a Peru long-stay visa? “Indicate how long you plan to stay” in Canada visa? How long can I stay in Finland?